Read the latest news and developments from Power Plastics including exhibitions, products and team news. BRAND NEW MATERIAL WINS DWI APPROVAL: FOUR INDUSTRY PRODUCT CATEGORIES BENEFIT. A partnership between manufacturer Power Plastics and technical fabrics group Rivertex has produced a brand new polymer fabric with full Drinking Water Inspectorate (DWI) approval. 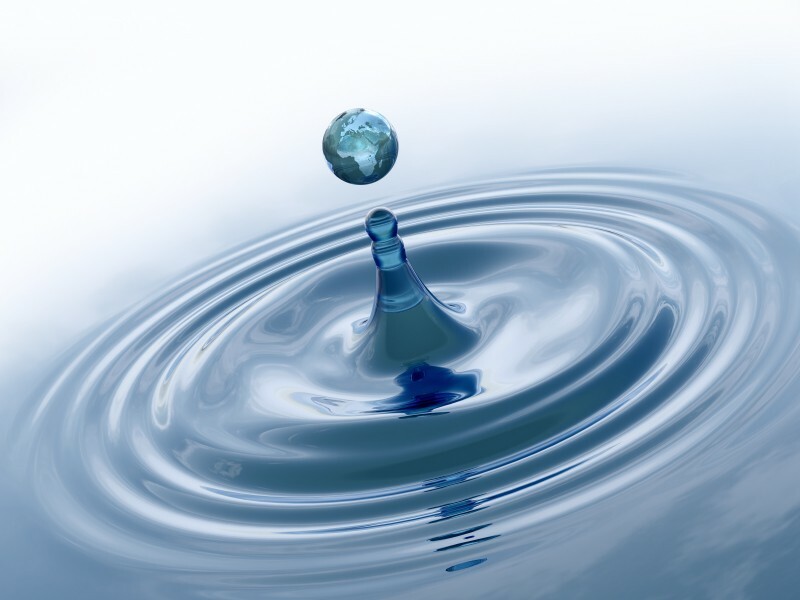 For the first time, water industry users can bring the new material into their supply chain in the form of sludge cones, baffle curtains, tank liners and water bags, confident that all the standards for potable water have been met – and exceeded. Rivertex® APO Powerplas® took 4 years to develop, and cost the companies more than £25,000 to complete the rigorous DWI testing and approval process. It is a non-toxic two-layer polymer with an internal scrim weave which achieves far greater tear strength than other thicker, heavier materials but with greater flexibility and a structure which resists delamination. The new fabric can be safely fabricated using HF welding, without creating toxic fumes; achieves excellent chemical /UV resistance; has long-term water contact compatibility and floats without the need for buoyancy aids. In addition to its DWI approval, Rivertex® APO Powerplas® is also WRAS certified and meets BS6920. It is supplied exclusively through Power Plastics. 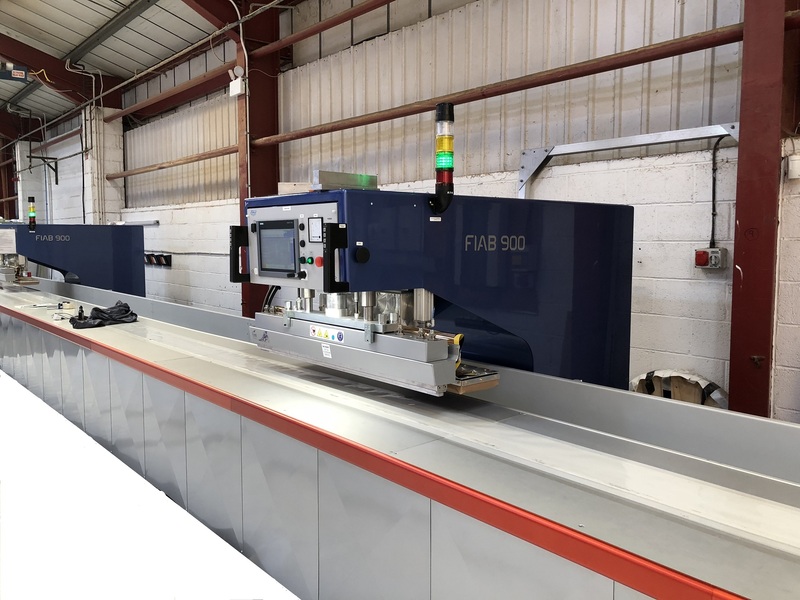 Two new £80,000 FIAB welding machines have been recently installed in Power Plastics Thirsk factory to meet an ever-growing demand. 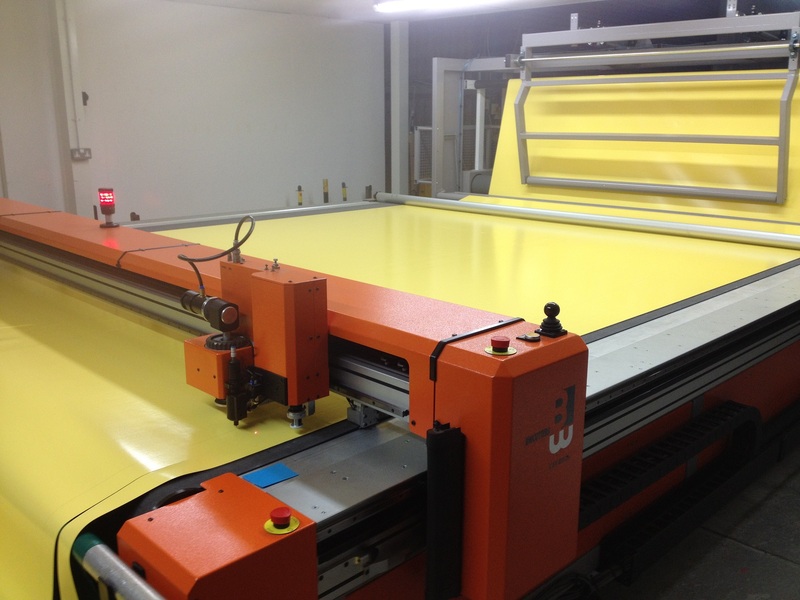 The HF tracking welders, with a welding table 30.0m long, bring the company’s fleet to 8 across three sites. With nothing on the market to meet its exacting requirements for feeding long, heavy rolls of material into cutting machines, Power Plastics has always designed and built its own. 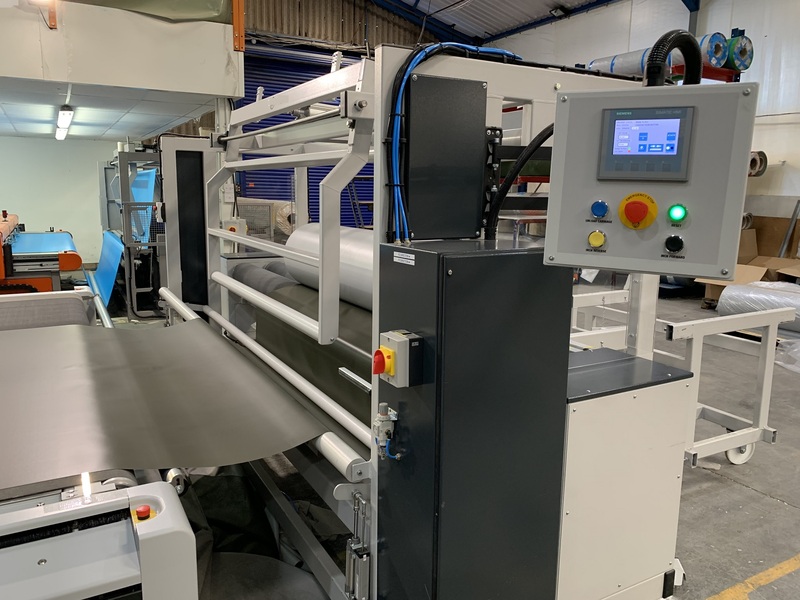 Every version is refined and improved – and the latest of their powered unrollers has just started work, paired with the company’s new £150,000 Zund CNC machine. The new design incorporates lateral movement to allow for the adjustments needed for smooth and accurate unloading of material onto the cutting bed – a fully automatic procedure which can be left running overnight. The end result is faster cutting times which, with demand constantly increasing, allow Power Plastics to keep pace with orders more easily. The Renault F1 team were the first in the world to take delivery of some new CNC technology – and Power Plastics were the second. The latest machine, from Swiss manufacturers Zund, cost £150,000, but is a significant step-up from previous models. The reason: an in-built printer, replacing the older pen-holding technology, which provides fast, highly-accurate printing of everything from instructions and positioning for components for later assembly to batch numbers and serial numbers to aid traceability. Precision cutting on material up to 3.2 metres wide and 5mm thick is rapid, and with every cutting pattern optimised, waste is kept to an absolute minimum. Because meticulous measuring is so important, the machine is given a daily calibration check, and runs a program to check the depth of its cutting blade before every project. 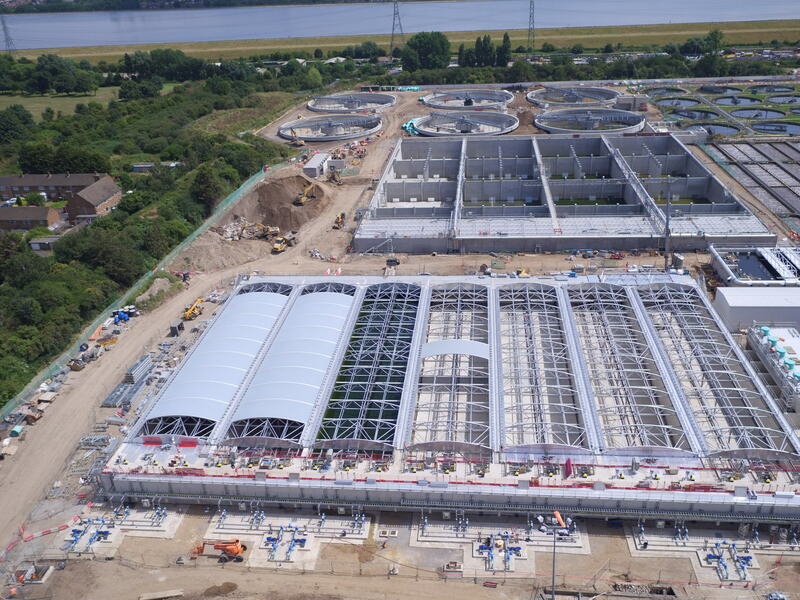 Thames Water is using a combination of covers, air filtering technology and monitoring in order to ensure it meets challenging odour control targets in its upgrade of Deephams Sewage Treatment Works in north London. The two inlet works are receiving GRP covers provided by Corporate Engineering, which fit closely to the current concrete. 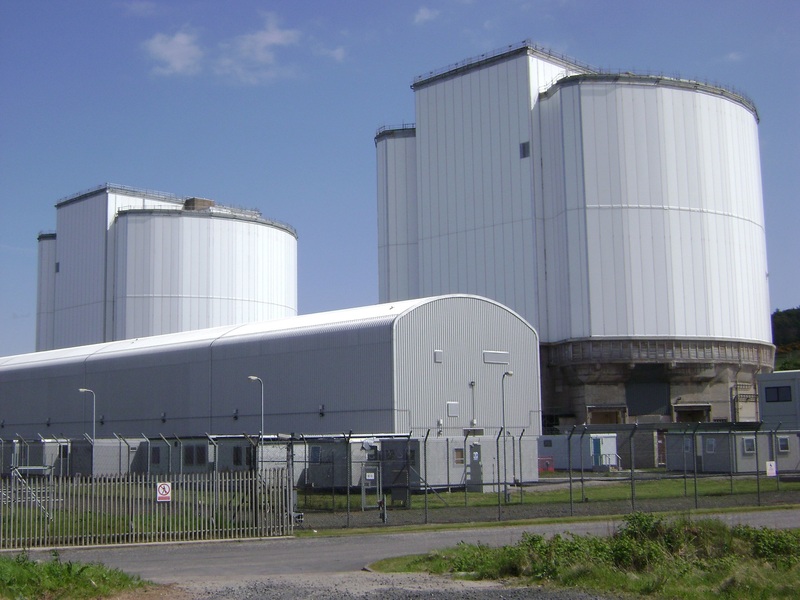 In the main effluent stream, the 14 primary settlement tanks have been fitted with removable PVC roof covers on aluminium trusses with an integrated gutter system and inspection hatch, provided by Power Plastics. 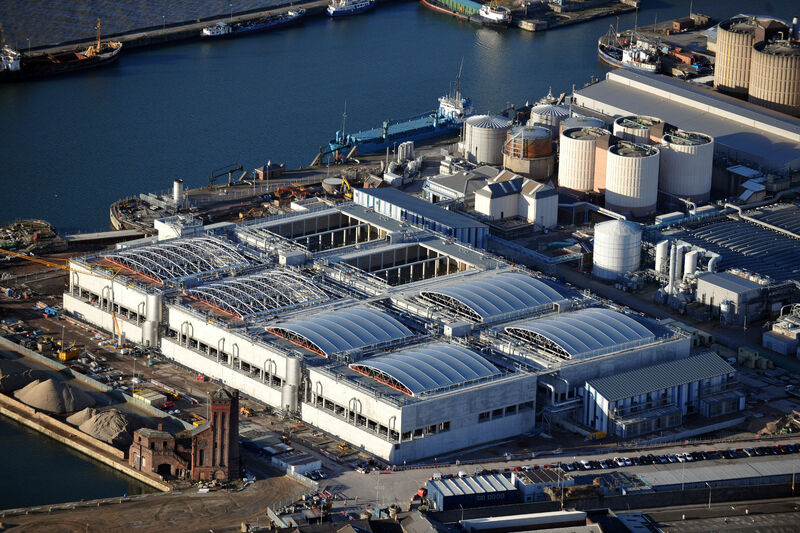 The primary settlement channels, flow splitting chamber and anoxic zones will have GRP covers, while the secondary digesters are to be fitted with domed double-skinned PVC-coated membrane covers supplied by Kirk. Power Plastics has signed a strategic partnership agreement with CST Covers in America for the exclusive supply and installation of their Aluminium clad covers into the UK water/wastewater market. This strategic partnership with CST Covers America, a world leader in the design and manufacture of aluminium geodesic roofs, further enhances the products and services that we can offer to our many valued clients. CST Covers have supplied over 18,000 covers in more than 90 different countries and offer multiple structural, high strength aluminium design solutions including domes, extruded flat covers, formed flat panel covers and truss supported covers specifically designed for customer applications. The covers are inherently corrosion resistant requiring little-to-no maintenance and are often used on both sectional steel and concrete storage tanks. 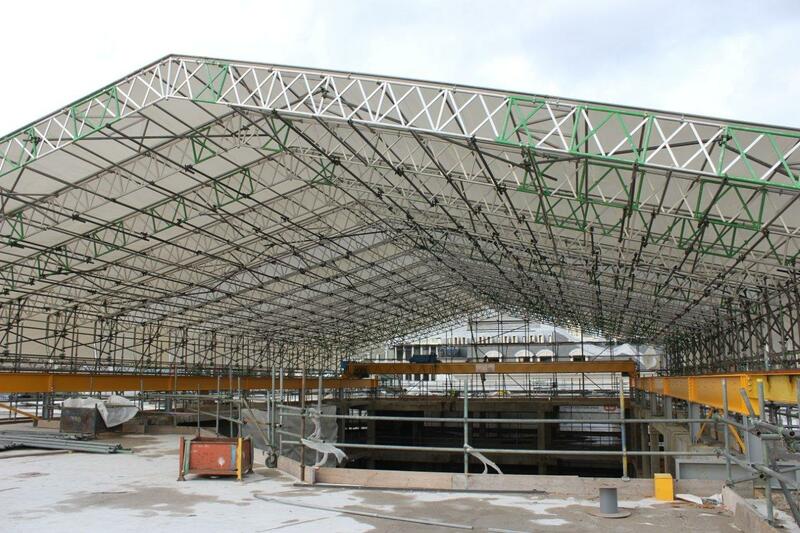 The aluminium lightweight characteristics allows for larger clear span cover capability than structures utilizing steal, concrete and other materials. We believe that this new partnership puts Power Plastics at the forefront of the UK water/wastewater tank cover market and we look forward to the working on numerous projects for these types of roofs over the coming months. Whilst safety has always been a fundamental objective for the company, its employees and it's many customers; we are pleased to announce that we have been award BS OHSAS 18001 certification for our Occupational Health and Safety management systems. Our staff are the heart of our company, and their wellbeing is our top priority. Achieving BS OHSAS 18001 certification demonstrates our commitment to health and safety, and provides us with a framework for constant improvement. Having formal health and safety measures in place increases our efficiency and reduces cost in the long run by avoiding accidents, reducing illness and improving staff motivation. BS OHAS 18001 has allowed us to thoroughly consider all health and safety issues in a holistic way across the entire organization. 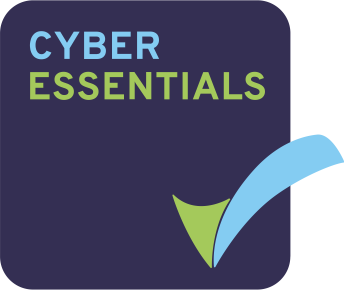 We now have an integrated management system that encompasses ISO 9001, ISO 14001 and BS OHSAS 18001 demonstrating to our many clients a high level of excellence and commitment to first class business practices. We are pleased to announce that we have been awarded ISO 14001 for our environmental management system. The internationally recognised ISO 14001 environmental system certificate recognises companies that have adopted responsible practices in their business strategy by increasing energy efficiencies and to continuously improve measures taken to protect the environment and people. The achievement of this certificate is part of our environmental commitment and is a key milestone in the company’s engagement to be a leader in its market sector with an outstanding environmental performance. The system is incorporated into an integrated management system covering other standard's such as the quality procedure IS0 9001. We believe that this should give us good standing with many of our valued clients. We are pleased to announce that Power Plastics has achieved CE certification to BS EN1090 for Structural steel Components intended for load bearing applications. BS EN 1090 was made a mandatory requirement as of 1st July 2014 and it became illegal for any company to design or fabricate any structural steel within the EU that does not carry the CE Mark. Being one of the first companies to achieve BS EN1090 our certificate is for structures right up to execution class 4 for both the design and manufacture. The CE Certification demonstrates that Power Plastics have the requisite Design/Factory production control systems in place to make our roofs safely and to the right quality. With many years of experience we believe that this takes us to the forefront of our industry. 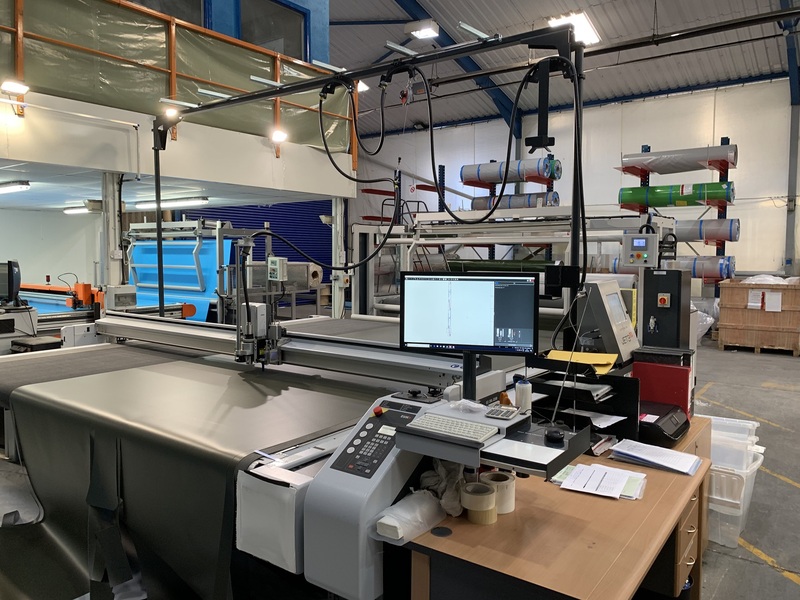 The decision to invest in this purpose made machine was taken as part of a planned expansion to increase the manufacturing capacity of the company. Whilst we have been using similar equipment for well over a decade our latest machine benefits from a 60% increase in spread over our existing equipment whilst occupying only a third of the space. It is equipped with a multi-tool head with rotary and fixed blades along with a unique oscillating blade and driven pizza wheel allowing us to cut numerous materials form meshes, reinforced PVC to Kevlar sheeting. The moving bed and continuous feed facility means loading and unloading time is kept to a minimum and the length of shapes to be cut is only limited by the length of the material. A vacuum table means that there is no need for the material to be masked or head etc. We also went a step further by incorporating a unique powered feeding machine which not only auto aligns the fabric to the table but has a powered arm for the removal of the Jumbo size rolls. We look forward to the benefits and efficiencies that this will bring to both ourselves and numerous clients. We are pleased to announce that due to product demand we have increased the size of our manufacturing facility by nearly 33%. To achieve this we have moved the whole of our stores and despatch department into additional premises conveniently located adjacently to our factory here in Thirsk. In addition to the reorganization of our factory we have also invested in an array of specially designed racking for the storage of the many heavy jumbo roll of fabrics that we hold in stock. Yet again this has significantly helped to increase our manufacturing area. We look forward to the benefits that these changes will achieve and the increase in the quality of service that we can offer to our various clients. We have completed one of our most enjoyable and high profile projects to date by replacing the covers over the ferry service walk way outside the prestigious Riverside Hilton Hotel in London. We not only replaced the cover but we also designed the fabric which measured the 95ft long walk way to perfection. Our experience in this industry has enabled us to tensile the membrane to ensure the structure is rigid and will be able to hold the same amount of pressure throughout the walk way. For a business like ours with clients small and large across the UK and around the world, a website which looks good and appeals to clients is a must. Building on the success of our previous site, we’re delighted to launch our new look site. The new design offers a fresh new platform from which to display out broad range of solutions for a range of industries such as water and construction and to showcase our expertise and 40 years of experience. The new site is structured with the user in mind, clearly organising our solutions into categories including tank covers, fabric sheeting and sports matting to make sure you can find exactly what you need.